Handcrafted solid walnut frame with a smooth, glossy mahogany finish. A high-end choice for the discerning office. Handcrafted solid walnut frame with a smooth, glossy mahogany finish. 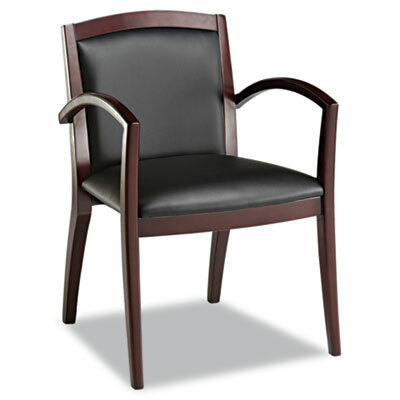 Soft touch leather upholstery for comfort and style. Fully assembled. Arm Height From Seat 8 7/8"